How Hershel “Woody” Williams used his flamethrowing prowess to become an American hero. On February 23, 1945, Hershel “Woody” Williams crawled toward a string of Japanese guard posts with a 70-pound flamethrower strapped to his back. 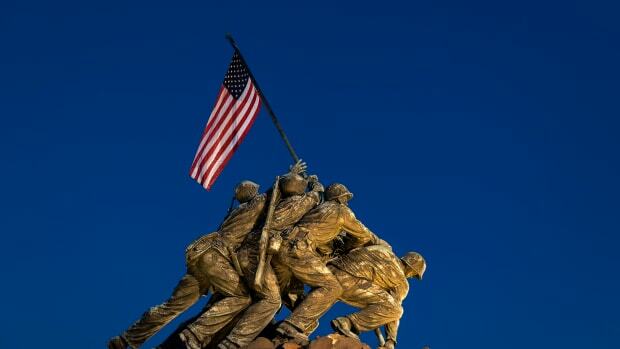 His Marine Corps unit had suffered heavy casualties since arriving on the island of Iwo Jima a few days earlier and had now become bogged down under intense machine-gun fire. “As we attacked, they would just mow us down, and we would have to back off,” Williams tells HISTORY. Even tanks failed to make any progress. In desperation, a superior officer asked Williams to try his luck with a flamethrower. Williams selected four Marines to provide cover fire, two of whom wouldn’t survive, and proceeded to singlehandedly take out one concrete pillbox after another over the course of the next four hours. At one point, he climbed atop one of the dug-in forts and fired through the air vent, killing the Japanese troops inside. On another occasion, he incinerated a group of Japanese soldiers charging him with bayonets. When a flamethrower ran out of fuel—each lasted for only a few blasts—he would return to American lines to secure a new one and then re-enter the fray. Williams describes those four hours as somewhat of a blur, though he does vividly recall machine-gun fire ricocheting off the back of his weapon, as well as a pillbox going up in smoke. Thanks in part to Williams’ actions, the Marines renewed their advance and within weeks had taken control of the island. Williams has been working with veterans organizations ever since, including a 33-year stint with the federal Veterans Administration. 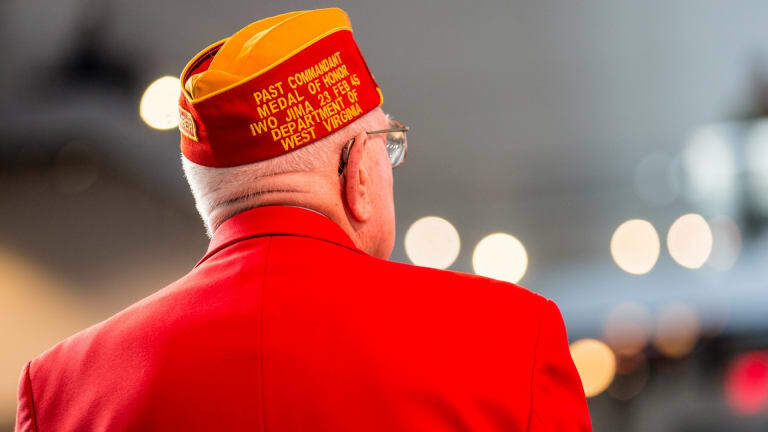 His latest venture is the Hershel Woody Williams Medal of Honor Foundation, a nonprofit that provides scholarships to Gold Star children and facilitates the establishment of Gold Star family memorial monuments. At age 94, he estimates he’ll travel 200 days in 2017, for memorial dedications and events like the christening of the USNS Hershel “Woody” Williams, a Navy ship named in his honor. Williams’ longevity puts him in rarefied company. 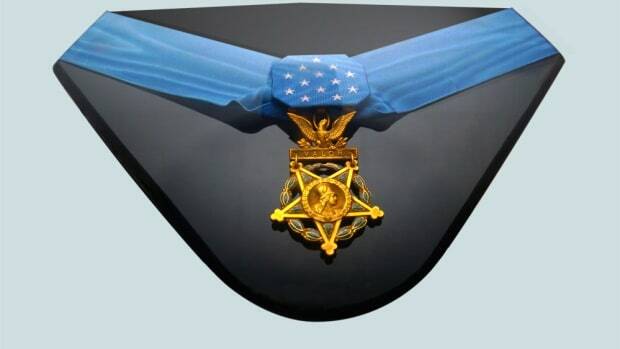 Of the hundreds of Medal of Honor recipients from World War II (many of whom received the award posthumously), only four remain alive. He is the sole member of the quartet who fought in the Pacific Theater, as well as the sole Marine. After dropping out of high school—the school was seven miles from home, a commute he sometimes made on foot—he followed a brother into the Civilian Conservation Corps, a Depression-era work relief program. Williams expected to stay in West Virginia but was instead packed off to Montana, where he was stationed on December 7, 1941, when the Japanese attacked Pearl Harbor. But when the 5-foot-6-inch Williams tried to enlist, he was rejected for falling short of the Marines’ height requirement at the time. Undeterred, Williams tried again in early 1943, soon after the height requirement was dropped, and this time he was accepted. “My thought was, ‘I’m going into the Marine Corps to protect my country and my freedom,’ never dreaming I’d end up in the South Pacific, because [prior to the war] I didn’t even know we had a South Pacific,” Williams says. 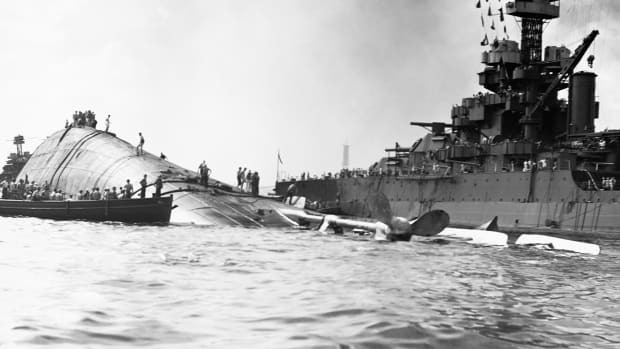 Following boot camp in San Diego, plus some additional training, Williams shipped out to the island of Guadalcanal, which the United States had recently finished seizing from Japan. While there, he learned how to use a flamethrower and was put in charge of a six-man flamethrower demolition unit. Williams saw his first combat in July 1944, participating in the Battle of Guam. By re-taking Guam, which had been in Japanese hands since December 1941, the United States gained a base from which its B-29 bombers could reach Tokyo, explains Richard B. Frank, an Asia-Pacific War historian who will accompany Williams next year on a tour of Pacific battle sites. Moreover, Frank says, the United States wanted to sever Japanese lines of communication, plus it felt an obligation to liberate the local populace, which had remained steadfastly loyal to America. The Japanese knew they probably couldn’t win on Iwo Jima, Frank explains, but “they wanted to make it as difficult, costly and time-consuming as possible.” The United States, on the other hand, Frank says, wanted Iwo Jima as a base for fighter aircraft and as a refuge for damaged B-29s returning from bombing campaigns to the Japanese mainland. Upon finally securing a toehold on Iwo Jima, Williams’ 3rd Division was positioned at the head of the operation and told to split the opposition in two. Williams recalls a difficult struggle to advance across an airfield and then running into the concrete guard posts, which were reinforced by steel rods and impervious to aerial bombardment. By the time he assaulted the string of pillboxes, for which he would earn the Medal of Honor, all the other members of his flamethrower demolition unit had been killed or wounded. 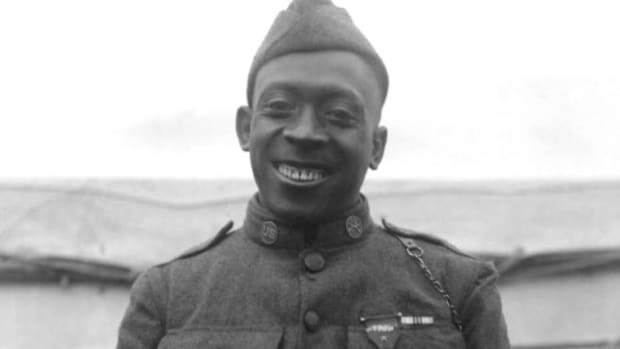 Williams would continue fighting, receiving a Purple Heart for injuries suffered on Iwo Jima that March. He later returned to Guam and trained for a planned invasion of the Japanese mainland that was rendered unnecessary by Japan’s surrender in August 1945. 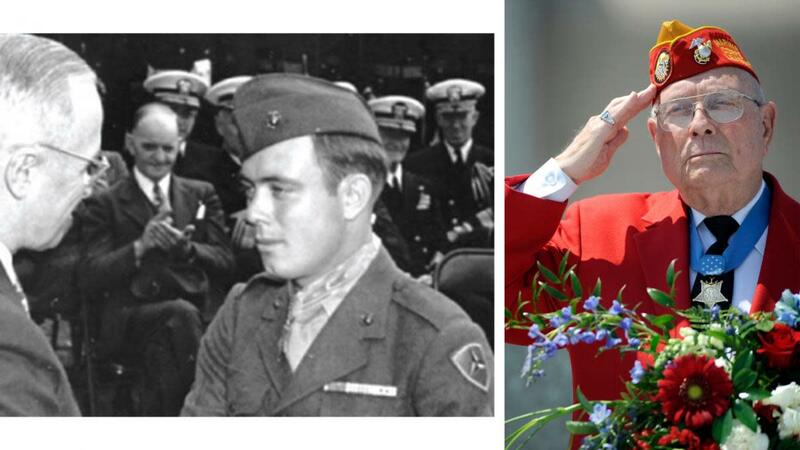 After that, Williams boarded a cross-country train, surprising his fiancée at her West Virginia home and then proceeding to Washington, D.C., for the Medal of Honor ceremony on the White House lawn. Gradually, however, Williams learned to speak eloquently of his wartime experiences and to use his platform to advance causes he believes in. 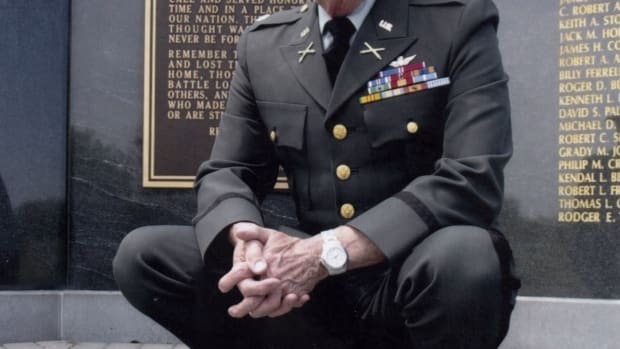 After retiring from the VA, he maintained a demanding schedule, running a veterans home, teaching Sunday school, raising show horses, and serving as chaplain of the Congressional Medal of Honor Society, among other activities. 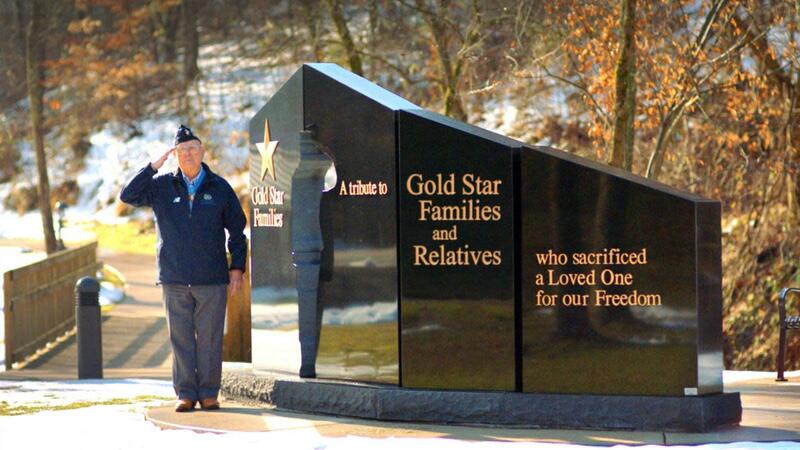 His foundation, meanwhile, has erected 26 Gold Star family memorial monuments—with about 50 more on the way—since its establishment in 2010. Williams has attended every single dedication in dozens of states. 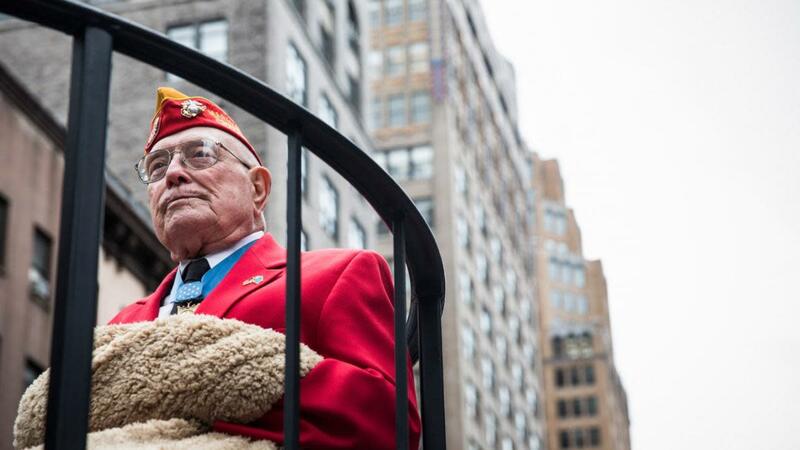 This story is part of Heroes Week, a weeklong celebration of our heroes in the armed forces. 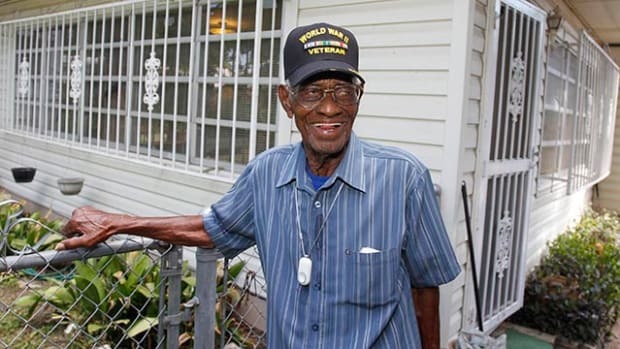 Read more veterans stories here.